And yes – let me get this clear right from the start: this Plasma 5.2.0 desktop environment will replace the KDE 4 packages you have installed. Plasma 5 is the “next-gen” KDE desktop. It has been in development for a long long time, with the goal of providing a gradual migration path away from the well-known KDE 4 desktop. All of this with the KDE 4.0 “debacle” in mind. You may recall that the KDE community released KDE 4.0 as a “tech preview” i.e. not ready for production, however some distributions upgraded their KDE from 3.x to 4.0 regardless of that. The backlash from the user community was understandable of course, because they went from a stable KDE 3 desktop to a buggy and crippled KDE 4 desktop. This was often blamed upon KDE itself, but that does the developers and their software grave injustice – it was the distros who forced their users to a non production-ready version of KDE,so it should be those distros who should be criticized for their bad judgement. Still, even to this day, harsh words about KDE 4.0 are targeted at its developers, not at the distros who made a strategic error. Nevertheless, here we are, with a shiny KDE 5 desktop environment! 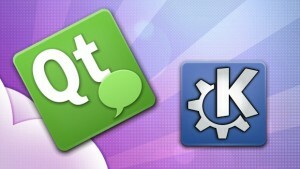 KDE 5 makes a switch from Qt 4 to Qt 5 as the base graphical toolkit. The old KDE 4 libraries have been ported to become the Frameworks: Qt 5 modules with no dependencies except Qt 5 and optionally, other Frameworks. This allows non-KDE developers to adopt the Frameworks in order to provide an expanded Qt 5 feature set. This porting effort has been going on for a long time now (its first technology preview for Frameworks was little more than one year ago) and the Frameworks are mature technology now. Plasma 5 is the set of packages that provide the core Desktop experience, built on top of the Frameworks. The release of Plasma 5.2.0 earlier this week was the turning point for me – this release is the first one that I actually consider ready for prime-time, capable of replacing the KDE 4 Workspace. The KDE Applications (currently at version 14.12.1) are the collection of software which used to be grouped in meta-packages like kdebase, kdeedu, kdegraphics, kdemultimedia etcetera. The Applications currently get huge attention from the developers, because that is where the hard work is being done the coming year. Slowly, all individual Applications are being ported away from Qt 4 and the KDE 4 libraries, to Qt 5 and the Frameworks. In Applications 14.12.1, the only ported apps to date are kate, konsole, analitza, gwenview, kalgebra, kanagram, khangman, kig, parley, kapptemplate, and okteta. As you can see, still a long way to go. These KDE 5 packages of mine are going to be your only KDE desktop. The “kde-workspace” package which provided the well-known KDE 4 workspace has been replaced by “plasma-workspace” and the good old KDM graphical login manager has been retired and replaced with SDDM. While you will be presented with a pretty Plasma 5 workspace, most of the KDE applications you’ll be using are the familiar KDE 4 versions (with updates and bugfixes), nicely blending in to the new Breeze theme. Some Plasma 5 highlights I mentioned in last year’s preview: Plasma 5 improves support for high-DPI displays and comes with a “converged shell”, i.e. one Plasma codebase for different target devices like desktop computers, laptops, tablet, phones etc. Plasma 5 uses a new fully hardware-accelerated OpenGL(ES) graphics stack. And with the Breeze themed artwork and its own Oxygen font, this desktop looks clean and modern. Plasma 5 follows the same trend you can also witness in Android 5, Windows 8 and OS X: gone are the colourful, exuberant 3D-ish icons, buttons and other graphical design elements. Flat and monochrome is the new dogma. The result is too clean in some regards, is my personal opinion: the monochrome system tray icons are just plain ugly and I get flashbacks of Windows 3.1 sometimes. Judge for yourself. These packages are only going to be useful if installed on top of Slackware -current. They are replacing the KDE 4 packages (plus adding/upgrading a lot of dependencies) that you might have installed. There is no co-installable option. Therefore if you rely on your KDE desktop for your daily productive work, please consider your upgrade carefully. The upgrade/migration should be painless if you follow the README instructions, but I can not guarantee that there will be no deal-breakers for you (missing functionality or persistent crashes). LibRaw, OpenAL, akonadi-qt5, eigen3, gst1-plugins-base, gst1-plugins-good, gstreamer1, json-glib, libappindicator, libdbusmenu-gtk, libdbusmenu-qt5, libepoxy, libfakekey, libindicator, orc, polkit-qt5-1, qca-qt5, qt-gstreamer, qt-gstreamer1, qt5, sni-qt, wayland and xapian-core. Qt 4.8.6 of Slackware was patched to support the docking of Qt 4 application icons into the Plasma 5 system tray (and the ‘sni-qt’ package actually implements this support). While I was at it, I also added some patches which Libreoffice requires for native KDE file-open dialog support. Note for users of multilib Slackware64 and also using Skype: you will have to grab the 32-bit version of Slackware’s “libdbusmenu-qt” and my “sni-qt” packages and run “convertpkg-compat32” on them and then install both “libdbusmenu-qt-compat32” and “sni-qt-compat32”, or else Skype won’t be able to dock its icon in the Plasma 5 systray. A bit sneakily, I built phonon-vlc for you. You will also need a VLC package to be able to use phonon-vlc though. I added the latest Calligra 2.8.7 office suite. Even though I compile a ‘kde-workspace’ package as part of the whole set (otherwise kdeartwork refuses to compile), I do not actually ship that package. It conflicts with the new plasma-workspace package. Several source tarballs in Plasma 5.2.0 have not been compiled to Slackware packages: libbluedevil and bluedevil (they need BlueZ 5 which is not part of Slackware), muon (a debian/ubuntu package manager), libkface (needs opencv which I was not willing to add as a dependency). One dependency which you’ll probably find curious, is wayland. It is required in order to compile KWin’s X11 driver, but it is apparently not needed at runtime. Nevertheless, I left the package in, just in case you want or need to recompile kwin. Graphical login: KDM has been replaced with SDDM. Installation of the sddm-qt5 package triggers the creation of a “sddm” user and group. The “sddm” user is then also added to the “video” group. If you already have a local “sddm” account, then all of that will be skipped. You’ll have to add the “sddm” user to the “video” group manually if you experience graphical glitches. I still consider KDE 4.14.3 the “latest stable” version for Slackware-current, and therefore the repository URLs http://taper.alienbase.nl/mirrors/alien-kde/current/latest/x86_64/ (for 64-bit) and http://taper.alienbase.nl/mirrors/alien-kde/current/latest/x86/ (for 32-bit) will keep pointing to KDE 4.14.3. You can use this repository URL for slackpkg+ or slapt-get or whatever package manager you use. The URL http://taper.alienbase.nl/mirrors/alien-kde/current/testing/x86_64/ (for 64-bit) and http://taper.alienbase.nl/mirrors/alien-kde/current/testing/x86/ (for 32-bit) is pointing to my KDE 5 testing ground. I consider Plasma 5.2.0 as a “testing” release, with potential to be your next stable desktop, but with some caveats and reservations. The URL itself will remain permanent, even when the versions of the software components get updated. Currently “testing” points to version “5” in the repository because versions of Frameworks, Plasma and Applications are not co-ordinated and package updates may appear in the next months for these sub-sets. The “5” is a good middle ground. You should use this “testing” URL when you configure slackpkg+ or slapt-get if you want to upgrade to Plasma 5. You must use only one of these URLs! I remind you that the KDE 5 preview I released last August was meant to be installed in parallel with KDE 4.14… but these new KDE 5 packages I am releasing today are going to replace the majority of KDE 4 packages. Therefore, the upgrade from KDE 4 to KDE 5 must be done manually, by closely following the provided README . Reading that README is even more important than before! To enter your desktop session. As always, the accompanying README file contains full installation & upgrade instructions. Note that the packages are available in three subdirectories below “kde”, instead of directly in “kde”. This makes it easier for me to do partial updates of packages. The subdirectories are “kde4”, “frameworks” “plasma”, “plasma-extra” and “applications”. Upgrading to this KDE 5 is non-trivial. You will have to remove old KDE packages manually. If you do not have KDE installed at all, you will have to install some of Slackware’s own KDE 4 packages manually. 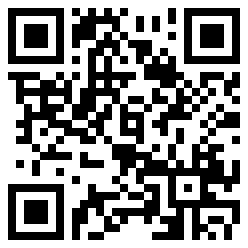 Download locations are listed below (you will find the sources in ./source/5/ and packages in /current/5/ subdirectories). Using a mirror is preferred because you get more bandwidth from a mirror and it’s friendlier to the owners of the master server! In earlier preview release, HPlip would show an error message about not finding a system tray area. The reason is because the Plasma 5 workspace does not implement the X11 “Xembed” protocol. The system tray area works differently now. Not just HPlip, but all other applications that are not part of Plasma 5, would have this issue, but only HPlip shows an error. Therefore some additional work was required to make the icons for Dropbox, Skype, Chromium, etc show in the Plasma 5 systray. This was done in the form of several notification support packages in the “deps/” directory and a patched Qt 4. There is a solution for applications like SCIM who still can’t show a systray icon even with these added packages – which is not elegant, but it works. Use a third-party Xembed system tray implementations like stalonetray or wmsystemtray . I have stalonetray and wmsystemtray in my own repository (I like wmsystemtray better). Both are also available at SBo. Certain conditions may crash your Plasma Shell. I noticed this in a QEMU virtual machine where it was reliably reproducible: The crash occurs every time you move your mouse pointer into an Application Window placeholder in the taskbar. A crash of plasmashell makes your desktop go black and you are left with only the application windows that were currently open. Automatic restart should happen, but not for me unfortunately. You can fix it if you had a Konsole window open at the time of the crash. Type “plasmashell –shut-up &” and your desktop will re-appear. The updated harfbuzz package breaks the library’s ABI. As a result, LibreOffice 4 will no longer work (error looks like “symbol lookup error: libvcllo.so: undefined symbol: hb_icu_script_to_script“). Solution: Downgrading to the original Slackware harfbuzz package solves it, which is a pity because I thought I had taken care of the ABI breakage by applying a patch which re-adds that missing symbol. The hardware keys for altering volume and mute still do not work on a global level (at least on my Lenovo T400 laptop). They seem to work for some applications – VLC is one of them. Sound is working fine though. Solution: How dumb of me… just run “kmix” and a systray icon will appear, and the support for on-screen display of your hardware volume buttons will be enabled. KRunner (Alt-F2) will still not save your command history. When you try SDDM in runlevel 4 and the screen stays black with a blinking cursor in the upper left, this is probably caused by a missing homedirectory for the “sddm” user. Even though you’ve selected “Plasma” as your desktop in the SDDM dropdown or in “xwmconfig”, the KDE 4 desktop is still starting up instead of the Plasma 5 desktop. Solution: Remove the kde-workspace package and re-install the plasma-workspace package. I have installed slackpkg+ and configured it as instructed. After installing KDE 5, when I run “slackpkg upgrade-all” it tries to pull in or upgrade all sorts of original Slackware packages. What’s up? Solution: none yet… you’ll have to be careful for a while until I figure out what to do with all those packages. The shutdown and reboot options are missing from the Leave menu. # lock now and do the rest of the KDE startup underneath the locker. test -n "$dl" && KSMSERVEROPTIONS=" --lockscreen"
Please report any other issue you encounter and I will add it here if it is serious enough. Posted: 28 January, 2015 in Slackware, Software. Testing it right now. Looking good so far. Quiet and stable CPU so far( the last version was around 10% non-stop). I had installed in kde 4.14.3 that module to configure the touchpad in the input sources config( kcm_touchpad) and its not working anymore…but its not that important. Sound not working. I had both gstreamer and gstreamer1 with everything(good,bad,ugly) installed in the 4.14.3. Do you think i need to remove one? probably the one old? VLC backend dont work too. Bumblebee working normally. Wine too. …When i hit F4 dolphins opens the “space” but the terminal dont show up. > …When i hit F4 dolphins opens the “space” but the terminal dont show up. I just built Yakuake and the embedded Konsole doesn’t appear there either. Hi Hygor Hernane, it looks like I updated the exiv2 package after I had compiled the 64-bit calligra package. Will have to recompile that one. The kcm_touchpad version which can be found on SBo is only for KDE 4. Thank you Eric! Will test it right now. The biggest issue now would be LibreOffice. Hope it gets solved soon. I failed to compile kcm_touchpad correctly btw. Not sure if its about the –prefix or something else. Ill install the kde5 on my desktop too, so i can do some better testing. I always have problem with some things like audio and touchpad in this laptop. At your service for more testing if u need Eric. And thx for all your work with Slackware . – “xmconfig” still shows kde 4 options, besides the new option for plasma. Both starts the same things, the plasma. – not using a login manager like kdm or sddm could have something related with the gstreamer service not working, at least for me, on kde5 ? I also updated the README for this. And a rebuilt 64-bit calligra package was uploaded which fixes the krita library error. Thanks for all your hard work. It is installed and running and no problems so far. Please note it is only for slackware-current since I dont have space for the whole repo. So is easy to see the updates. Is this down to choice of default icons/themes and can that be changed back to more familiar icon sets, or is this a more permanent change? For those who installed previous KDE 5 and having a blank desktop when running startx for the first time after upgrading, try to remove (or rename) .kde5 and retry again. This fixed the blank desktop screen. Probably due to configuration changes made by the new version which is incompatible with older release. forgot to mention a bug here: i can’t set my time according to my timezone. It’s always set to UTC even though i set the timezone and disabled the UTC option. thanks a lot for your KDE5 packages. I’m sure it was a lot of work. I’ve installed it in a VM and it’s looking fine so far, except for a crash while browsing widgets. Will test some more. The kdevelop dont start. Trying to run from terminal shows “Cannot load library /usr/lib64/kde4/kdevokteta.so ” and “Cannot load library /usr/lib64/kde4/kdevgdb.so”. They give differing upgrade instructions (e.g., the /testing README gives less packages to remove). Eduardo, please refresh the pages in your browser. They are the same file. If one of them shows the older version it is because Akamai caches it. Refreshing the browser helped here at work. The only problem I’ve found, so far, is tiny fonts on panels, menus, etc. I haven’t been able to increase the size via the system settings. Also, is there a way, as there is in KDE 4.14.x (and earlier) to go back to a “classic” menu vs. the default XP style menu. Also, can’t change the application menu default icon. Whoever thought the day would come that the default KDE desktop would make the Xfce default desktop pretty by comparison. The appearance of KDE 5x reminds of the early days when I bought my first computer almost 30 years ago (and I was a late boomer). My Gawd is this thing ugly! Alien: thank you. They are now the same. cwizardone: for the tiny fonts, in System Settings, in Appearance > Fonts, check “Force fonts DPI” and put a sensible value, such as 96 (for non-retina monitors, for example). For the classic menu: add the “Application Menu” to the panel and remove the “Application Launcher”. Alien, thanks once more. This thing is beautiful and stable. My biggest issue is Kwin. KDE5 was initially unusable, because Kwin got stuck in startup at 100% CPU usage. I got to work around the issue by killing KWin, then invoking systemsettings5 (without any window manager! ), and in Compositor, selecting XRender as rendering engine. Picking any of the OpenGL variations would get me back to 100% usage and no display. With XRender I get an usable environment, but I cannot change the window decorations. I just get a black square in the corresponding KCM module. Thank you again and let’s hope KDE keeps improving from this start. Hi erick, thank you, this kde is really cool, but i have a trouble with yakuake, show me this message ” Yakuake was unable to load the Konsole component “, on the terminal i found this plugins should not have a ‘lib’ prefix: “libkonsolepart.so” , any ideas? > for the tiny fonts, in System Settings, in Appearance > > Fonts, check “Force fonts DPI” and put a sensible value, > such as 96 (for non-retina monitors, for example). Already tried that, but no joy. However, thanks for the suggestion. Whoever said, “Beauty is in the eyes of the beholder,” was right! Right click K icon, Alternatives->Application Menu for a Win 95 style start menu. It seems my autostart scripts doesnt work anymore. It does not matter if I put them in ~/.kde/Autostart or ~/.kde/share/autostart. I tried to add the script via Settings in “Startup and Shutdown”, but it does not work. I assume something change on how to write the autostart script? Also, the systray is not on my panel. I installed both sni-qt and sni-qt-compat32. Cannot find systray as widget either. Ignore my last comment, I have the systray on my panel but a lot of apps does not show they systray icons. I guess I have to try wmsystemtray. so far so good. Brightness and volume control ok. disable touchpad fn key not working. asus laptop. Thank you very much. As for “Alice in flatland” style, i agree about being ugly. I am not going to install KDE5 right now on my Slackware machine, but I just wanted to thank you for all the hard work, and time invested in these packages! Thanks Eric, keep up the good work! It doesn’t remember the selected wallpaper. Log out and then log back in and the default wallpaper is presented. Looks like there isn’t anyone on the KDE development team old enough to remember windows 3.1. Thank you. You mean that I should move everything to ./kde5 – directory? I try to find documentations on things like where to put the config files, autostart scripts, themes e.t.c. Does anyone know of such documentation, I would appreciate it! Not sure if related to Slackware (Arch’ sddm was able to reboot and shutdown): I can’t seem to be able to reboot or shutdown via sddm. Instead, when the countdown reaches zero, it starts counting via negative numbers, i.e. -1, -2, etc. Pressing the Shut down or Reboot button has no effect. I also have no shutdown option from within KDE (my user is member of `power’ and other groups). lems. the shutdown and reboot in the SDDM main window are working on my computer and in my VM. I do not have a shutdown or reboot option any longer in Plasma 5 (only a “switch user” courtesy of ConsoleKit), and I believe that is one of the drawbacks of not supporting systemd. The master branch is for KDE 4. KDE 5x is something only a mother could love, based on outward appearances, 🙂 so I’ve removed it by running removepkg on every single package that was downloaded and installed. I then reinstalled all the 4.14.3 packages and dependencies and qt-4 and harfbuzz from -current, and your OpenAL-1.15.1 package, deleted all the kde configuration files I could find, and rebooted. No joy. KDE 4.14.3 won’t start. The spash page is seen for a moment then it falls back to a prompt. On the left side of the page it looks like memories addresses and on the right are references to various daemons, most all in /lib64 or /usr/lib64, for example, ld-2.20.so, librt-2.20.so and libGLso.1.6.0.so, etc., etc., etc. Any suggestions would be appreciated. It would appear I missed a package somewhere, but I’ve done the re-install twice. Oh, Xfce fires up just fine. I would doublecheck all of the packages in KDE 5’s “deps” directory and see if by removing those, you actually removed a package which Slackware installed at one time. Also, try a fresh user account to see if this is caused by a configuration file. Thanks! I was missing strigi and downloaded and installed a copy from -current. Dropbox icon is not shown in systemtray. Has anyone else got the same? I have the same problem as lems. Have to wait for 30 secs to logout and from the main SDDM screen it counts down to zero and then negative numbers from then on. Had to hit the power button to shutdown. Thanks for the clarification about the move .kde5 -> .kde again. Constructing a KPluginInfo object from old style JSON. Please use kcoreaddons_desktop_to_json() instead of kservice_desktop_to_json() in your CMake code. – I’m using hybridgpu, Intel+AMD with opensource driver. – I’m using Mesa 10.4.x because mesa 10.3.x was not working well with vga switcheroo system (artefact, tearing, blank display, crashed, etc), particularly on the gpu switching event. I’ll try to rebuild kwin and reporting back the results. Rebuilding Qt5, kwayland, kwin, and plasma-workspace against mesa 10.4.3 solves the problem. Before, I was not able to choose EGL as OpenGL Interface. Regarding kwayland and kwin, AFAIK kwin requires kwayland. But in your plasma modules list, the KDE.SlackBuild builds kwin before kwayland. UPDATE and possible fix about KDE 5 on hybridgpu. Forgot to mention that I was using environment variable DRI_PRIME=1 in my ~/.profile, so KDE kwin_x11 will always using AMD GPU for primary. Unset the variable solves almost every crash related to ‘glXBindTexImageEXT’ I had before because right now KDE is using Intel GPU for primary. And also GPU auto switching via vga_switcheroo runs normally without the DRI_PRIME environment variable, unlike in KDE4 🙂 . Hi Widya, don’t apologize for the noise, your posts contain relevant and valuable information for other people. And yes, I think you are right and kwayland needs to be built before kwin. I checked my 64-bit and 32-bit build logs. The 64-bit build was my development build, and was done incrementally. Apparently kwin there was built using a package of kwayland that I had built during an earlier increment. The 32-bit build on the other hand was done in one straight run, using the SlackBuild and there the logfile showed that kwin was unable to find KF5Wayland (provided by kwayland). I fixed this in the git repository already, thanks for the hint. I also saw that kwin was missing wayland_egl and apparently – as you found out – this needs a newer mesa than what’s available in Slackware-current. That is a danger in itself, because KDE 5 is pretty bleeding edge, and the possibility exists that at some point in future, KDE 5 components will want stuff whose Slackware version is too old. And I am not prepared to add the whole X.Org stack to my KDE 5 dependencies… so there is a chance that I have to stop with my KDE 5 experiment then. Bookmarking this entry, great job as usual, Eric! Installed on a clean current64 in virtualbox. I can testify the same issue of @Phil and @lems: countdown for reboot and shutdown in SDDM goes to 0 and then goes on with negative numbers with no other chance than power off. ps2: also the systray issues due to the dropping of XEmbed are rather annoying, with wmsystemtray being a workaround but not really a good looking one. An embeddable widget for all xembed-dependant software should really be introduced. in the SlackBuild didn’t solve in my case. Any suggestion different from the softlink? Wobbly windows are configurable, I have it enabled on this laptop. It may be that your VM does not support it though. About the shutdown counter that does not stop at zero but keps counting to negative values… I did not experience that here. There’s also nothing to find about it on the Internet. Perhaps wise to report it on the SDDM bug tracker? No further tips here. I do not use yakuake. You already did too much for us!!! @Hygor Hernane: Did you manage to get the embedded terminal working in Dolphin? Would like to know if you found a solution. I think I have figured out what’s wrong with the konsolepart.so and why the symlink was needed. It is something I have to fix in my KDE.SlackBuild – for every tarball in Applications that has been ported to Qt5/Frameworks. The Applications 14.12.2 are almost ready for release, and when they get released I will grab the opportunity to fix the dolphin/konsole issue. We”ll wait for the update. I have had 1 of the same issue as LoneStar, after logging out of KDE then trying to shutdown the timer continues past 0 into negative numbers. The only way I can shutdown is to press the power button from that point. Thanks for building this for us, much appreciated! First of all: Eric thank you very much. For all the hard work you have done and for shearing the results of it. A question. Does anybody use touchscreen? General interface improved much for touchscreens, but I cannot find on screen keyboard. Used to be plasma board widget in Accessability section in the previous builds. What on screen keyboard is supposed to be used with KDE 5? Thanks for looking into it Eric. Happy to wait till the next release. Note that I did not start on a fresh kde profile and use my profile ( .kde ) from kde4. I’ll see if I can get solutions to some of these otherwise I may revert to kde4 for a while. Thanks for the packages Eric. about teamviewer: i just built it here and it’s working fine on my workstation. Have you started the rc.teamviewerd ? Basically, Plasma 5 looks for .desktop files in ~/.config/autostart/ now (you can create these using the “Autostart” control module in System Settings), and it will run these after the Plasma Workspace started. It will also source (not execute) any file it finds in ~/.config/plasma-workspace/env/ – this happens _before_ the Plasma Workspace is started. Robby, I did not experience these long delays with Krunner. n fact, I was amazed at how fast it returns results, from all kinds of “unexpected” but very useful places. I hope that Applications 14.12.2 (just released last week) fixes some of the issues you are mentioning (gwenview etc). I had some big issues with getting the new tarballs compiled, so after a few days of failures I gave up for now. I am working on new Chromium packages, I pushed out new Flash Player updates yesterday and I have wasted 4 days in trying to fix the harfbzuz issue in Libreoffice on slackware-current with Plasma 5. No success. So, I felt a bit down, and needed something working, hence the Chromium package build. I will probably recompile Applications 14.12.2 after the weekend, hoping that the KDE distro packagers list will give an answer to my question about kde-workspace (it conflicts with plasma-workspace but on the other hand it is required by kget and kdeartwork at least). Thanks Eric, I started with a fresh profile and Amarok is working now as is Teamviewer. Gwenview will still not execute from clicking on an image file. Still need to have a look at the autostart stuff for ksshaskpass. Oh and krunner seems to be behaving normally as well now. I am having one issue (rather large issue) with 5 – it installs as per your instructions just fine, it loads up the desktop, but all menu’s except for one do not work, they load a blank box or the contents of the menu is blank / transparent. But if I run the mouse over where menu items are, some show up and then go away. Any ideas on what I should be looking for? @Eric, just for the sake of information, I realized that wobbly windows are not showing as available effect (among many others) because inside VirtualBox the rendering is on XRender instead of OpenGL, and the whole 3D accel functions are problematic inside a VirtualBox VM, also due to the fact that my laptop is a system with Nvidia Optimum. Long story short, all should work in a physical installation. For the shutdown counter issue, I wonder if all others having the same problem are all using a VM like me or not? Btw, is it only me or the whole Dark Breeze theme is messed up? I’ve been told it’s the same also on Kubuntu. When selecting Dark Breeze, the K menu is almost unreadable. 2) running startx with init 3 from the “root” user, it hangs with a blank screen (no cursor, nothing!) with no errors! 3) running startx with init 3 from a user it works. 4) from systemsettings5 (runned as user or with kdesu) in the startup section –> sddm options, when apply, it hangs! I should also mention, when I can open something, say like Kconsole – I can’t resize it or drag to another part of the desktop….for anything I am able to open. All dragging fails, and resizing anything fails. I’ve noticed the same thing with the dark theme. I tried (unsuccessfully) to try and find a simple setting to change the font color. Just installed KDE5, everything works except for one thing. I dont get a suspend option and closing the lid only locks the screen. Any way to fix it? Sorry for the late reply, Eric, but I now had time to set up another VM — using QEMU this time –, and I was able to reboot/shutdown via sddm. So seems to be virtualbox-related or so. I’m also happily running this now on my laptop. What I noticed: some apps, like dolphin or okular, are missing translations, their menus are still in english even though I selected a language other than english. I selected “double click” in dolphin and Mouse/Keyboard settings, but a desktop launcher regardlessly requires a single click only. This was different in KDE 4. Ryan, the missing library is part of the phonon-4.8.3-x86_64-1alien package. lems, the developers are apparently not yet organized enough to provide a full set of translations for the Applications tarballs. Owen, I have no idea. Can be video driver related, or you are missing a package, or… who knows. Check the X session error log for more clues. Remember, these packages are called “testing”… meaning I expect _you_ to do the testing. Thanks Eric. I guess I’ll try `slackpkg install phonon`. I already did `slackpkg install ktown-testing`, is there some reason I wouldn’t be getting things from the deps folder? I do not have the kde group installed but I did install bluedevil, polkit-kde-agent and polkit-kde-kcmodules. I installed it all in init 3 and X was not running. Hey Eric, thanks….that’s what I’m doing….thought you might have some insight to save time : ) Sorry to bother you. Thanks for your work, I truly appreciate it. Owen, no need to apologize. If I had an answer I would write it down, but I am a simple Slackware package creator, not a KDE developer. For the real bugs (not related to packaging and installing) you might want to create KDE bug reports. Ryan, to my understanding “slackpkg install ” will only install packages that you currently do not have installed. It will not upgrade packages which you already have installed, like phonon. What happens when you run “slackpkg upgrade ktown-testing” afterwards? Anyway, thanks for your response, and keep up the great packaging work – most of the time your packages install without incident, so I’ve been lucky. Later. Thank you Eric!!! `slackpkg upgrade ktown-testing` worked! I guess I am a bit confused though. Should I run upgrade first or install first? When I install your multilib repo I just do a `slackpkg upgrade-all` and `slackpkg install multilib`, and that always works. P.S. KDE5 looks so good!!!!!!!! I am having the same problem with 4.13.3 – so there must be something specific to my machine : ( Although I’m still going thru the error log to find a common denominator. Good News! Well, I told ya I wasn’t to bright…after checking the logs, finding a xset error with fonts (not a show stopper), I couldn’t find any errors in Xorg.0.log or see anything when I export startx to a file. Frustrated, I then went to Google many times, I guess I wasn’t entering the right keywords to find a hint of what to look for, I finally entered this phrase ” [B][I]KDE 5 can’t see menus[/I][/B] “. Anyway, I stumbled upon an old Forum post at kde.org, it suggested using the key strokes [B]Alt+Shift+F12[/B] to enable Desktop effects….so I tried it, and my blank menu problems went away, along with crappy dialogue boxes and even Konsole behaved properly. I am now trying everything in KDE 5, to see if something doesn’t work….it’s a bit clunky, but so far so good. Did someone had strange issues with polkit and networkmanager? I can’t have permissions on normal user nor read previous config. 1. Launch Konsole and customize it to your heart’s content. 2. Create a new virtual desktop or set aside one already available for the terminal. I set Desktop 4 apart for this purpose. 3. Move Konsole to said Desktop. 4. Maximize Konsole. In Konsole’s Kwin menu (Alt+F3) select More Actions > No Border. There you are. Now, pressing Ctrl+F4 gives me an instant terminal, even with a sliding effect. Not exactly Yakuake, but it can do. Thanks, eric for the hard work on this, I have only been running it for about 10 days. I have run many of the programs and checked it out pretty well. The only real problem that I have is with trying to add widgets, it will crash on me every time. Dropbox works well but it does not have the usual icon in the taskbar. The cpu usage is about 2 to 3% and memory usage is about 350 to 400 m with just the desktop up. It seems to be much more stable than version 4 when it was introduced. Installed kde5 and everything is running fine, but i got a problem with accents between konsole and dolphin. if i create a file in konsole like kóóção.txt i got kÃ³kÃ³Ã§Ã£o.txt in dolphin. tryied to swithc to utf-8 and iso but no dice. Robinspi – why are you commenting to a 10 month old article? In the meantime, I have written many more posts about Plasma 5 and it would have made more sense to add your comments there. Additionally, my Plasma 5 packages are for Slackware -current, not for 14.1. Do not burden your old folk with Slackware development version, topped with an experimental desktop environment. This is a configuration which will not be straight-forward to maintain except for Slackware veterans. I was having some minor issues with a KDE 4.14.21 on a recently installed Slackware 14.2. I posted a bug report on bugs.kde.org and was informed that KDE is no longer supported and that all major distro have updated to Plasma 5.8. Mark, as I tell everyone who asks me this question: you really have to ask Patrick. If it were up to me, KDE 4 would have been replaced by now. But Pat will have his reasons for holding back on the migration. I will tell you this: I will be mighty relieved if he finally decides to move on to Plasma 5. Maintaining the ‘ktown’ repository has brought me to the breaking point, and that is one of the reasons for the recent 3 month hiatus inbetween my package releases. Also Mark, why the hell are you replying to an almost two-year old article? The most recent Plasma 5 post was earlier this week. If you want to ask stuff, use the comments section below the relevant *recent* posts please. alienbob: “why the hell are you replying to an almost two-year old article?” I knew you were going to mention that given your similar comment to Robinspi (which I miss initially). The reason is that when I was googling for some insight on this problem, this particular article popped up, not the more recent ones. So I signed up and commented, simple as that. I promise to be more timely … now that I know.